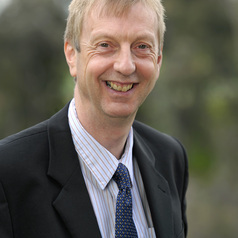 In September 2007 Dave moved to Australia to become Director of the Monash Sustainability Institute (MSI) which aims to deliver solutions to key sustainability challenges. In November 2008 he also became CEO of the newly created organisation ClimateWorks Australia (CWA), focussed on action to reduce greenhouse gas emissions. Previous positions he has held include UK Met Office Deputy Chief Scientist, Director of the Hadley Centre for Climate Change, and Head of the Intergovernmental Panel on Climate Change (IPCC) scientific assessment unit. Dave is a past vice-chair of the World Climate Research Programme and member of the Victorian Ministerial Reference Council on Climate Change Adaptation. He is a Fellow of the Australian Academy of Technological Sciences and Engineering (ATSE), a member of the Australian Council of Environmental Deans and Directors and the Climate Institute Strategic Council. Dave was awarded the Vilho Vaisala award (World Meteorological Organization) in 1992.